Poets Corner is a townhouse community in Freehold Township, Monmouth County, NJ. Easy access to transportation, shopping, dining and recreation is a result of it’s location near Route 9, Route 18, Route 33 and Route 537. And the Jersey Shore is nearby. Poets Corner Freehold has 284 homes, which were built in 1984, The homes are all duplex style, in fact, each owner owns half of the building. All of the homes are 2 level townhouses. Each homes comes with either two or three bedrooms, 2.5 baths and a 1 car garage. Also, fireplaces were optional for the original owners. Four different models are in Poets Corner Freehold. And, some of the homes also have a den. Poets Corner home sizes range from 1,349 square feet to 1,624 square feet of living space. The association is responsible for lawn care and garbage removal,however you’ll need to shovel your driveway. Additionally, the homeowner is responsible for exterior maintenance. The pool, tennis courts and basketball courts are available for residents to use. And, there is an outdoor pool. You can fence in your backyard, and Poets Corner is one of the few condo communities where fenced yards are permitted. And, your pets are welcome in Poets Square Freehold. Children will attend J J Catena Elementary School and Eisenhower Middle School. When students enter high school they will attend the Freehold Regional High School District. Each school offers different specialized courses and talented and motivated students may apply to attend any of these schools. However, there is a competitive application process. 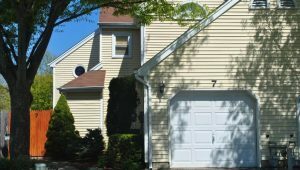 Show me more condos for sale in Freehold. Square footage as per Freehold Township tax records.